Old Forge welcomes visitors all year to enjoy the scenic outdoors and all the activities offered. There is something to do in every season. Make those cold winter months fly by with miles of trails for snowmobiling, snowshoeing, downhill or cross-country skiing, and ice fishing on those endless lakes. Making summer days stretch as long as possible with miles of rivers and lakes to venture on for boating, fishing, and jet skiing. Old Forge has amazing opportunities that are meant to be enjoyed by all no matter what! Imagine it’s a beautiful summer morning, the sun is just starting to heat everything up and you can hear the birds in the far-off distance. You look around, and all you see is water and trees on both sides of the bank. Smell the fresh, clean air mixed with pine and feel a slight breeze hit your face while you row your kayak down the river. Thankfully this can be a reality for anyone who visits Old Forge, no Kayak or boat required. 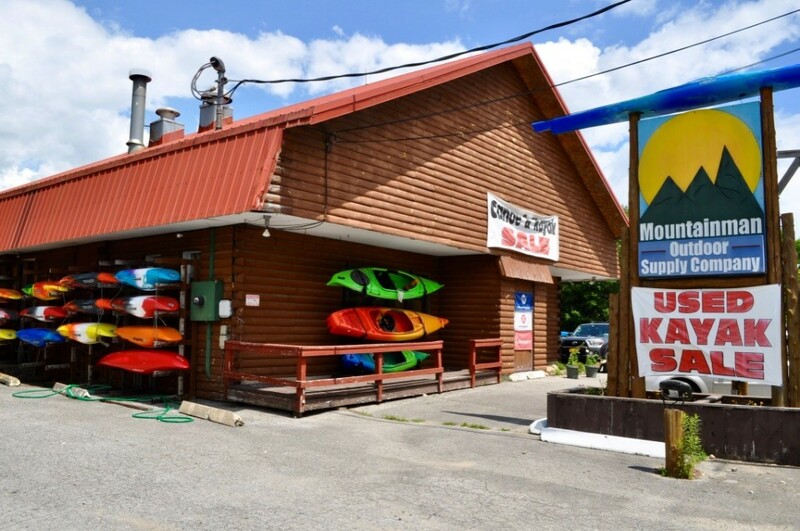 Mountainman Outdoor and Supply Company will always have you covered when it comes to renting boats, kayaks and paddle boards. Although it does not stop there, Mountainman Outdoor and Supply Company also offers shuttle service for boat rentals along with all the accessories and gear required for a trip down the river! They also provide rentals for those who wish to spend their days on land exploring miles of biking trails. If you want to be the captain of your own ship, then Dunns Boat Service is the one stop shop for you! Want to rent a pontoon boat, power boat, jet ski or fishing boat? Dunns Boat Service has you covered. They offer rentals for many different lakes in the Old Forge area as well as gear to make the trip even more fun such as tubes and wakeboards. Now, it’s a brisk winter afternoon. You’re all bundled up on your sled, there’s nothing but white snow all around you. You can hear your friends’ sleds behind you as you lead the way through the endless miles of snowmobile trails. Here in Old Forge, there is always the opportunity for everyone to go snowmobiling even if you do not own one yourself. RPM Snowmobile Rentals can provide you with a sled, so you never have to miss out on the fun. If you enjoy a more leisurely-paced winter activity like cross-country skiing or snowshoeing, Old Forge has miles of trails to explore! When you find yourself in need of gear, nothing will stop you as Mountainman Outdoor and Supply Company has everything you need from rentals to gear! After a long day, whether winter or summer, you can relax around a fireplace or campfire at any of the cabins, RV parks and camping grounds in Old Forge. And when you’re too exhausted to cook, grab a delicious meal at Thendara Pine Restaurant or Walt’s Diner . Lifelong memories start with the experiences made here in Old Forge. Ensure that you have everything you need to create those memories.